Bioengineers at the University of California San Diego have developed a new blood test that could detect cancer — and locate where in the body the tumor is growing. The study could provide a way to diagnose cancer early on without having to do invasive surgical procedures like biopsies. Researchers published their findings March 6 in Nature Genetics. Cancer blood tests work by screening for DNA released by dying tumor cells. These tests are showing promise for detecting traces of tumor DNA in the blood of cancer patients. However, the results don’t indicate where the tumor resides. “Knowing the tumor’s location is critical for effective early detection,” said Kun Zhang, a bioengineering professor at the UC San Diego Jacobs School of Engineering and senior author of the study. 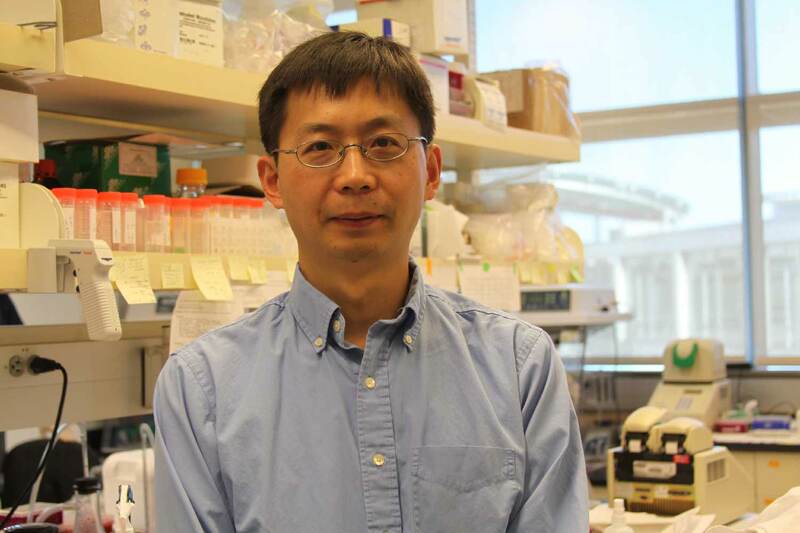 In this study, Zhang and his team discovered a new clue in blood that could both detect tumor cells and identify where they are. When a tumor starts to take over a part of the body, it competes with normal cells for nutrients and space, killing them off in the process. As normal cells die, they release their DNA into the bloodstream — and that DNA could identify the affected tissue. The method screens for a particular DNA signature called CpG methylation haplotypes, which are the addition of methyl groups to multiple adjacent CG sequences in a DNA molecule. Each tissue in the body can be identified by its unique signature of methylation haplotypes. “We made this discovery by accident. Initially, we were taking the conventional approach and just looking for cancer cell signals and trying to find out where they were coming from. But we were also seeing signals from other cells and realized that if we integrate both sets of signals together, we could actually determine the presence or absence of a tumor, and where the tumor is growing,” Zhang said. To develop their new method, the researchers put together a database of the complete CpG methylation patterns of 10 different normal tissues (liver, intestine, colon, lung, brain, kidney, pancreas, spleen, stomach and blood). They also analyzed tumor samples and blood samples from cancer patients at the UC San Diego Moores Cancer Center to put together a database of cancer-specific genetic markers. Zhang and his team then screened blood samples from individuals with and without tumors. They looked for signals of the cancer markers and the tissue-specific methylation patterns. The test works like a dual authentication process — the combination of both signals, above a statistical cutoff, is required to assign a positive match. “This a proof of concept. To move this research to the clinical stage, we need to work with oncologists to further optimize and refine this method,” Zhang said. Full paper: “Identification of methylation haplotype blocks aids in deconvolution of heterogeneous tissue samples and tumor tissue-of-origin mapping from plasma DNA.” Authors of the study are Shicheng Guo*, Dinh Diep*, Nongluk Plongthongkum, Ho-Lim Fung, Kang Zhang and Kun Zhang. This study was supported by the National Institutes of Health (R01GM097253 and P30CA23100).